As a veteran of the US Army I worked in environments with exceptional leadership, and a few that were weak at best and toxic at worst. In both cases, there’s a lot to learn from those who lead us. Great leaders can be found in many places, sometimes where and when we least expect. They may be teachers, friends or even our parents. They’re not just those that we work for; the supervisors and managers. We should broaden our understanding of who leaders can be. Otherwise, we may be missing out on important opportunities to learn from them. For 242 years the US Army has fought and won our Nation’s wars. One of the keys to this proud tradition is developing world-class leaders. There’s a lot we can learn from this long history of success. 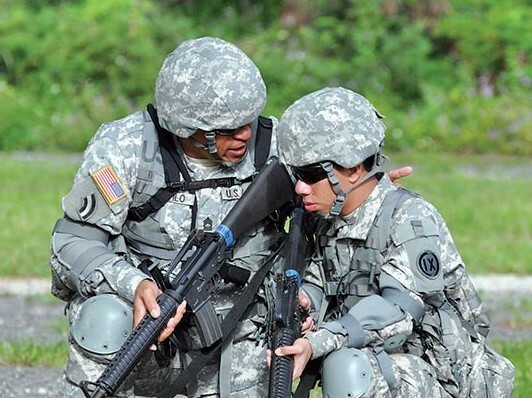 You can find a lot of information about the Army’s leadership development programs by searching the internet. However, unless you’re a veteran, some of the vocabulary you’ll find can be difficult to grasp. So, here’s my condensed adaptation of FM 6-22 Leader Development. The tenets of leader development provide the essential principles to successfully develop leaders. The tenets also provide a foundation for the principles of training, and professional and personal development. Strong commitment by the organization, superiors, and individuals to leader development. Clear purpose for what, when, and how to develop leadership. Supportive relationships and culture of learning. Three mutually supportive domains (institutional, operational, and self-development) that enable education, training, and experience. Providing, accepting, and acting upon candid assessment and feedback. Leader development benefits both individuals and the organization. The senior leaders within these organizations are responsible for training and leader development and for providing a culture in which learning takes place. Developing leaders at all levels, from executives to supervisors, is the best means to make sure the organization can adapt to the uncertainties the future holds. Organizational leader development plans must support the purpose and follow the guidance of the higher organization’s plan. Variations in programs will occur, depending on the type and size of the organization. Set the conditions necessary for success. Establish a culture that promotes leader development throughout the organization. The culture needs to embrace leader development to reinforce it as an expected part of daily routine. Leaders need to learn how to observe subordinates and give developmental feedback. Their ability to give feedback will significantly contribute to subordinates’ development. Practical application of practices will enhance learning and make development more effective. Learning from experience can be enhanced by facilitating what an experience means. Making sense of an experience requires interpretation of the event to create personal understanding. This process requires observation, feedback, dialogue, and reflection. Creating opportunities for development or using existing experience opportunities is a way of creating a culture of development. An organizational culture develops based on shared values, beliefs, and learning. These cultural values, when consistent with the organization’s mission, affect its performance. Leaders foster a positive culture by providing a supportive climate that values member involvement and learning. Self-development bridges the gaps between the operational and institutional domains and sets the conditions for continuous learning and growth. It’s an individual’s responsibility but it is important for leaders to set conditions and support self-development. Leaders need to be actively involved in developing themselves and each other. Development happens through study and practice. Leaders can support others’ self-development through the exchange of professional development information, discoveries, and opinions. Character, judgment and problem solving and adaptability are capabilities that are especially valuable to leaders and team members in special situations. They allow leaders and teams to discuss the demands of complex, ambiguous, and chaotic situations. Whether making the tough moral decision, thinking critically to resolve uncertainty, thinking from a broad and strategic perspective, or adapting to unexpected changes, expert leaders find the way to do what is right. Accurate, descriptive observations of leadership are important to assess performance and give feedback that produce focused learning. Assessing an individual’s performance into the categories of developmental need, meets standard, and strength informs the individual about what needs development or sustainment. It will also provide motivation to develop. Developmental Activity: What do I want to do? Desired Outcome: What do I hope to achieve? Method: How am I going to do this? What resources do I need? Time available: When will I do this? How will I check progress (such as identifying and monitoring milestones, rewarding success, or identifying accountability partners)? Limits: What factors will affect or hinder successful implementation of this activity? Controls: What can reduce or control the factors that hinder implementation of this activity? A leader’s ultimate purpose is to get results by accomplishing assignments the right way. A leader gets results by providing guidance and managing resources as well as demonstrating the other leader competencies.